The Sweet 16 is finally upon us and before we reach the weekend, we will know who the Elite 8 are. This is a tournament that is permanently on a knife-edge, players know that one mistake or slip could see their team lose out, but this is also a time for heroes and for players to stand up for themselves and their team-mates. 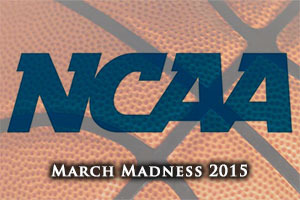 The Sweet 16 stage of the March Madness tournament is hugely exciting for players, coaches, fans and NCAA betting backers. The edgy OT win by Notre Dame has left many people doubting their ability and it seems as though the talk heading into this game is of how Wichita St should have more than enough to deal with the Fighting Irish. That is doing a disservice to Notre Dame though as they have a fine squad and they have shown at various points over the season that they are a team that can rise to the occasion. Wins over Louisville, North Carolina and Duke, who they have defeated twice, is all the indicator you need that Notre Dame are not as bad as some people are making them out to be at the moment. 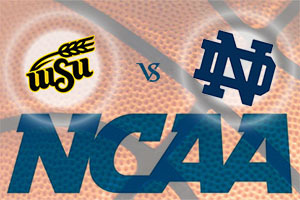 Wichita State have a 30-4 record while Notre Dame holds a 31-5 record and the Fighting Irish play in the ACC, which means that their pedigree may hold a bit more sway. This is a game where the defensive skills and strength of Wisconsin are likely to be of benefit and this should make the difference in this game. You obviously don’t get to the Sweet 16 stage by being a bad basketball side but there are major concerns over the defensive strength of North Carolina, which is often a deciding factor in this game. It isn’t the game that most people are focusing on but there could be plenty of action in this one. 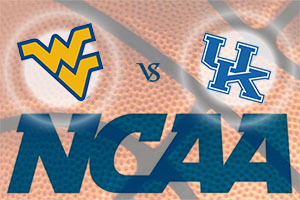 It does look set to be another game in the victory procession for Kentucky but West Virginia have performed alright so far and while the Wildcats have been winning games, they have not been helping people win money with respect to the spread! Kentucky should have more than enough to get through this game, but don’t expect them to demolish their opponents and run away with it. This looks like a classic match between a squad of players who play collectively, Xavier and a team with a number of excellent individual players, Arizona. This means that there will be purists backing a team based on their own ideals and it makes for an intriguing and interesting match-up. Xavier hold a 23-13 record and Arizona have a 33-3 record, which may suggests that the better players win you games when you really need them to. This should be another game when the quality of Arizona shines through but it may take a moment of magic for it to appear.